Check these unique new varieties; 25-year shelf! 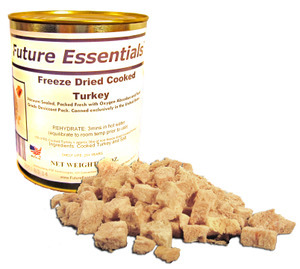 I'm pleased to announce the availability of new Future Essentials freeze-dried food varieties that are unique, delicious, 100% U.S. produced, and best of all--member-discounted for our club members! 20%-off and free shipping of course. As indicated in each listings, most of the F.E. varieties come in the smaller #2.5 sized cans, so you get 12 of them per case ... when you open them you do not have to feel nervous about using them up fast, as you might when you are using #10 cans. 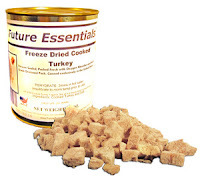 --Real pre-cooked, freeze-dried U.S. meats with 25-year shelf, including turkey, chicken, ground beef, ground pork, pork sausage, turkey and gravy, and beef and gravy! --Also shortening powder, butter powder and yogurt are now available (check these 3-10 year shelf lives). And granulated honey too (25 years)! Future Essentials offers some of the best, specialty foods in the preparedness marketplace, such as the ever-popular organic green coffee beans--the only long-term storage solution for coffee for you caffeine fiends. These and many other FE branded foods are all top-quality selections, produced for maximum savings while offering up to 25-year shelf lives! Note that we also offer several FE superpails with 20-year shelf life. Shop all these Future Essentials products now, get fast free shipping. 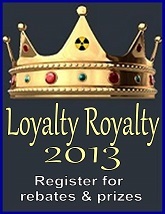 Have you taken the free, simple step of registering for our club-members-only 2013 Loyalty Royalty program? the brand new VitalGrill Survival Stoves! eligible to win any of our 2013 monthly preparedness-prize drawings! Here are the Loyalty Royalty details. To register, just email Vic at the link on that page. as fully positioned as possible to stand your ground while the pressures mount. toward our active buyers club incentives that you may qualify for (see #3 below). for the same new product. incentives as well. Just email Vic with a link to a current MH cans sale offer that might be out there. any purchase totaling at least $500! 2013, so they must be used promptly. And don't forget to check many other great offers right now in our On Sale category! Low-Price Guarantee on Over 100 Key Preps! Preparedness today is about more than being ready for natural disasters. It's increasingly evident that preparedness is also to be a deciding factor in how much freedom or liberty you and your loved ones are afforded when tyranny becomes the rule of law. Do not become hostage to everyday necessities that are easily controlled and rationed in exchange for your independence. Prepare now. 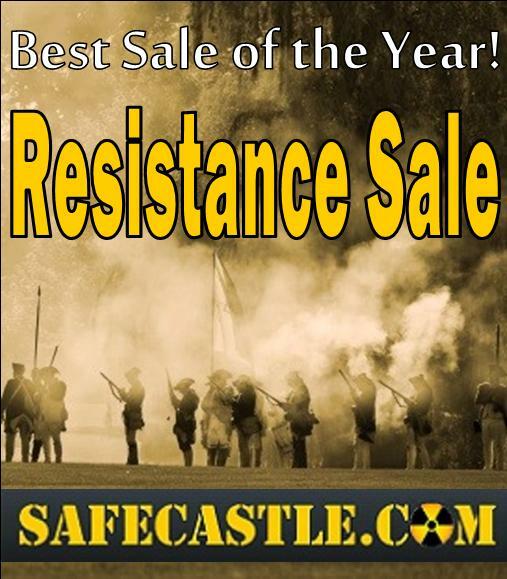 At Safecastle we are pulling out all the stops for the next month in our Resistance Sale to make sure you can be as fully positioned as possible to stand your ground as the pressure mounts. Any necessary price matching must be done before your purchase is completed. If you find a lower price out there, send the link to Vic Rantala and we will gladly match or beat that price, as well as count your purchases toward our active buyers club incentives that you may qualify for (see #3 below). 2. 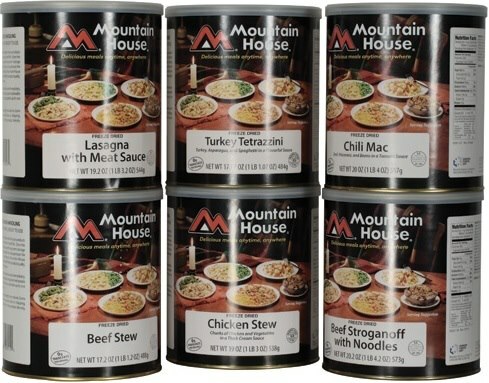 We also are guaranteeing low member pricing on all U.S. Mountain House foods -- the listings for which are simply too many to include in the Low-Price Guarantee category. Our member prices on MH pouches and buckets (now rated at 10 years and 25 years shelf life) are the lowest prices out there, including shipping ... to the best of our knowledge. If you discover otherwise, we'll be happy to match any lower dealer pricing out there for the same new product. On MH cans, dealer pricing is strictly regulated. We are authorized by the manufacturer to, at any time, match any dealer's sale pricing, and we are always happy to do that while providing you any qualifying member incentives as well. Just email Vic with a link to a current MH cans sale offer that might be out there. v Finally--if you have taken the free, simple step of registering for our members-only 2013 Loyalty Royalty program (it's never too late), you can look forward with your purchases toward building your 2013 transaction total that will determine how much of an end-of-year rebate you will be receiving! This program runs thru 2013. The Loyalty Royalty program also offers the possibility of winning one of our 2013 monthly preparedness-prize drawings! 1. The AEB OX Mini Power Plant Solar Generator is what I have for my own personal use, and I swear by it. This baby is powerful, and when coupled with the optional Kyocera two-solar-panel-kit, you are up and running at home or away, no matter what the status of the grid may be. It's all plug and play--extremely easy to use--no technical know-how required. And if you need even more power than the 3000 watts, 200 amp hours in the base system, there are optional plug-in PiggyBack units to bump that up to 300 or 400 amp hours! 2. GoalZero recently came out with a complete 1250 watt solar generator system, the Yeti 1250, with cart and a pair of panels. Less power, less cost ... you decide how much back-up power you want or need. Shop all our current discounted on-sale items here. Reid and Obama are pushing thru the Senate the Internet Taxation bill that quite simply is just another way to enact a huge new tax on consumers, under the guise of "fairness." Fairness to who, you might ask? Well, to big business of course ... those gigantic operations who pay their CEOs and other execs multi-millions while pleading that they are suffering greatly at the hands of the small business people of our nation who are trying their best to create jobs and make a living. Bottom line ... this is another key move by the continually growing corporate/governmental conglomeration that is looking to exact more and more of your hard earned money thru legislation like this. This taxation bill is sneaky fast in the way it has suddenly come to the surface and is being voted on today without time for publicity or debate. If this bill becomes law, it will directly affect your pocketbook as well as cost countless American jobs (internet-related jobs will move off-shore and American small businesses will shut down). If the Senate approves this bill today, the last chance for stopping this big new tax is in the House. Obama has endorsed the tax. 1. The brand new stainless steel, off-grid Kimberly wood burning stove, recently featured in Mother Earth News and voted in Popular Mechanics as the most innovative new stove on the market. We are proud to be one of this American manufacturer's first authorized dealers! There's way too much to crow about with the Kimberley to try to put it all into a paragraph here, but this much I will say: it is beautifully designed, is extremely efficient and powerful, can be portable(it weighs 56 pounds), and with add-on accessories that are expected to become available later this year can produce not only heat, but also hot water and electricity, and it can cook, bake, and dry laundry. Our member price is unbeatable (and of course it ships free). 2. Then there's the VitalGrill Survival Stove ... designed for outdoor use and survival situations. It is small, lightweight, and with its small battery-powered, integrated adjustable blower fan, can burn two to three times hotter than other small stoves, making quick work of boiling water or cooking food, even in extreme conditions. Check out more of the new items being added in "Our Newest!" category. Safecastle's New Loyalty Royalty Program - You DO Want to Register for This! Let it never be said that we don't take great care of all within our castle walls. Once again, through 2013, we are rewarding our most loyal buyers-club members with a new loyalty incentive program ... a red carpet treatment if you will, that is comprehensive in its scope (applying to all participating-member purchases) ... and retroactive to April 1, 2013! In brief, our top 10 registered Loyalty Royalty customers (club members) from April through December will at the end of the year earn a rebate gift certificate worth as much as 11% of their purchases during the incentive program period! And EVERYONE who registers for the program will receive at least a 1% rebate gift certificate! Finally--of course we cannot resist conducting great prize drawings on a monthly basis for those participating, so you have multiple ways of being rewarded for your Safecastle loyalty.Read more here about how it all works and how it is quick, easy, and free to register (required to participate). NOTE: This is an incentive/rebate program for our buyers club members. Become a lifetime member by purchasing a membership here. We're back in the mode of finding and adding cool new products to our store. Over the next couple of weeks, I'll be sending out emails pointing out some of those new products worth your attention. In the meantime--enjoy the "Our Newest!" category. Lastly, our recent Mountain House cans sale is over, but we have made available to you many other best-selling foods and even many of our newest products at great sale prices right now. Shop those sale items here. Haven't received your tax refund yet but need to get that storage food supply topped off? Paypal's Bill Me Later is there for you when you shop at Safecastle. Not everyone wants or needs LifeStraws, but Gift Certificates are universally valuable. So yes--we are giving you the opportunity, from Apr. 11-13 only, to reap your Royalty Rewards in the form of $20 gift certificates for every three Mountain House can cases purchased. During the rest of the month of April, the Royalty Rewards are a free LifeStraw for every three MH can cases bought by club members. Either way, you come out a winner. 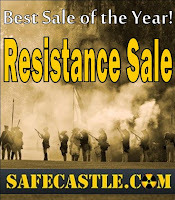 Safecastle is throwing a huge one-week SALE on Mountain House freeze-dried food in #10 cans at the maximum-permitted discounts, 25% + ... along with that special Royalty Rewards offer to our buyers club members! And yes, everything ships free to the lower 48. Amazing varieties available--foods that you and your kids love to eat. Easy to store, easy to prepare. This Max-Discount Sale lasts only thru April 15, 2013. It's Live: The One-Week MAX-Discount Mountain House Foods Sale, with FREE LifeStraws to Qualified Buyers! 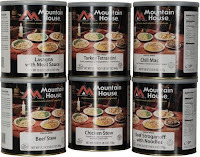 This is a unique opportunity ... a sale on Mountain House freeze-dried food in #10 cans at the maximum-permitted discounts, along with a special offer to our buyers club members of a FREE LifeStraw with every three MH can-cases purchased in a transaction--no limit! Of course everything ships free to the lower 48, as well. Mountain House storage food has no equal. 30-year shelf, proven again and again. The go-to storage food for serious preppers, government agencies, military organizations, relief agencies, and adventurers around the world for more than 40 years. Check the amazing varieties available--foods that you and your kids love to eat. Easy to store, easy to prepare. This sale lasts only one week ... thru April 15, 2013. The need is becoming more apparent ... and more urgent. It's up to you to take care of your loved ones by preparing for future uncertainty. Safecastle is here to help. Subjugation vs. Liberty: The essence of the global struggle ... Will there be resistance? It wasn't that long ago that a strong sense of personal morality was NOT the exception to the rule. In Western cultures, adherence to principles respecting personal liberties and the value of every individual were embraced with deep-seated feeling. "Life, liberty, and the pursuit of happiness" ... that was the 7-word summary of America, and it was what many of our friends around the world strove to achieve. However, over the last 20 years, and especially in the last 5 years, respect for the individual has been completely negated and transposed with a massive institutional march to control and subjugate the masses. You and I are no longer citizens with valid opinions or beliefs, or with the freedom to act of our own free will. We are all now simply part of the whole. Everything that is being done now in the macro by our wise leaders clearly shows an intent on their part not to represent us, but to bundle and shrink-wrap us for easy accounting and management. 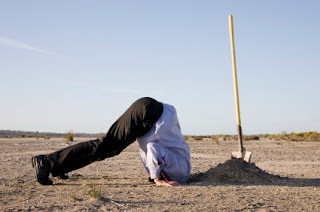 Obamacare--sold to us as a way to save money--is now clearly revealed to be about forcing lifestyle management and compliance for all, at reduced quality and far greater cost than previous healthcare models. Immense, immoral growth of national and household debt is irrevocably encumbering our future and the future of our children with impossible-to-escape chains of economic slavery. Job losses, price inflation, and mushrooming tax obligations for all income levels are crumbling the foundation of what was said to be the last remaining superpower of the 20th century. Unbridled explosions in the growth of "homeland security" assets and the dissolving of Constitutional liberties in America have stunned citizens into disbelief and paralysis. Shocking characterizations by the government's security apparatus of the Judeo-Christian values that built this country as actually now being those of extremist-terrorists are turning what's left of the America of yesteryear on its head. The Jeffersons, Lincolns, Churchills, Reagans, and Thatchers of our past are demonized by our children's educators and our media's talking heads, paving the way for a smooth transition to global leftist governance and population control. Political correctness has stifled public debate and created an effective mind-control mechanism that prevents and punishes individual thought and clear self-expression. What is left to do to complete the transition? It's all on the table now. Will it indeed be a quiet, meek and submissive surrender by the billions of souls on this earth to the few who see themselves as superior and aim to prove it? Or will there be resistance? 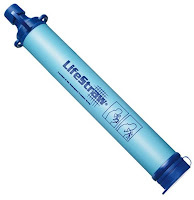 Free LifeStraws with Qualifying Mountain House Food Purchases! Remember--if any Mountain House dealer is having a sale on MH cans, we can match those prices, plus give you your qualifying LifeStraws, and of course ship for free to the lower 48!